For the past five weeks working at the Local Data Company I’ve had the opportunity to examine the comprehensive data that we have on the retail and leisure market across GB. Using LDO (LDC’s location insight platform) I can see extensive information on an entire town whether it be the number and nature of all the restaurants and shops in a location or the health of a specific street. LDC track over 600,000 units on a 6 or 12 month basis and use a combination of desk research and field research to keep the database up to date. I wanted to know more about what the source of all this information is. So, where does LDC’s data come from? Uniquely, the majority of LDC’s data comes from 50+ field researchers who go out onto the streets of GB and personally input and verify each unit. We believe that having real people carefully tracking locations ensures that we will provide the most accurate data possible. 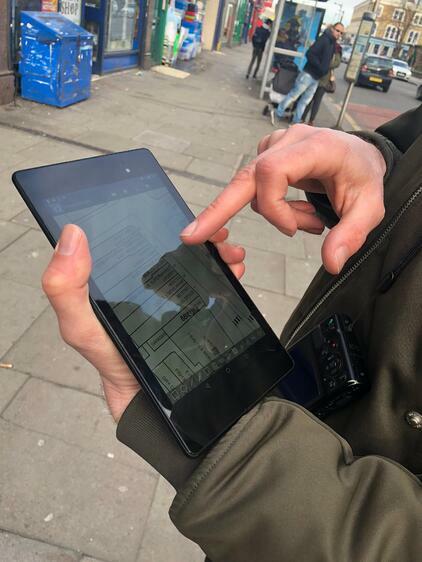 Each researcher is equipped with a tablet with specialist software uploaded, designed to map out and input information for entire towns and cities. Last week, I spent some time with Paul, our longest working field researcher. 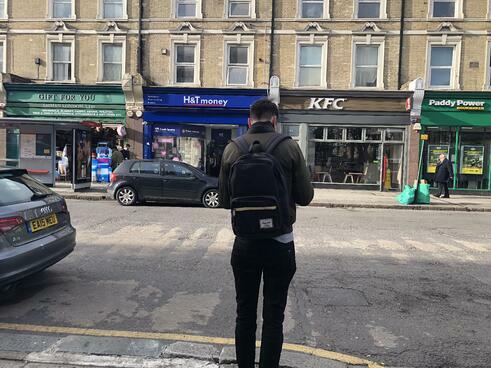 Paul and his tablet had made their way to Forest Gate, an area for which location data was being updated for two clients. I watched as Paul stopped in front of every unit on the street and checked for operating hours, phone numbers, and websites. If these details were not displayed on the storefront Paul went inside the unit and asked an employee so that he had complete and accurate information. 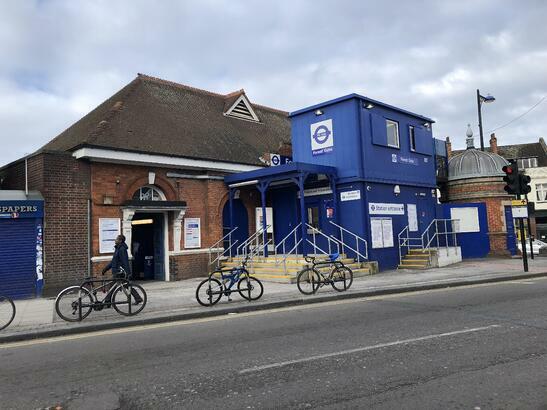 Forest Gate Rail Station (Source: LDC). Each unit has its own page in the software into which all information can be entered accordingly. If a new unit has been added to the street a new page is created for it and when units close or move these pages can also be easily updated. Whilst we worked, Paul explained that researchers always try to collect the same data for each unit. This includes (as a minimum) the telephone number, website, and store hours as mentioned but also includes a photo and the category of the store (i.e. fast food, bookmakers, coffee shops etc.) New photos are taken when there is a change to a unit such as a store getting a new frontage or becoming vacant. Each picture taken has a unique code that is entered into a corresponding unit page on the tablet and then is automatically sent back to the office. 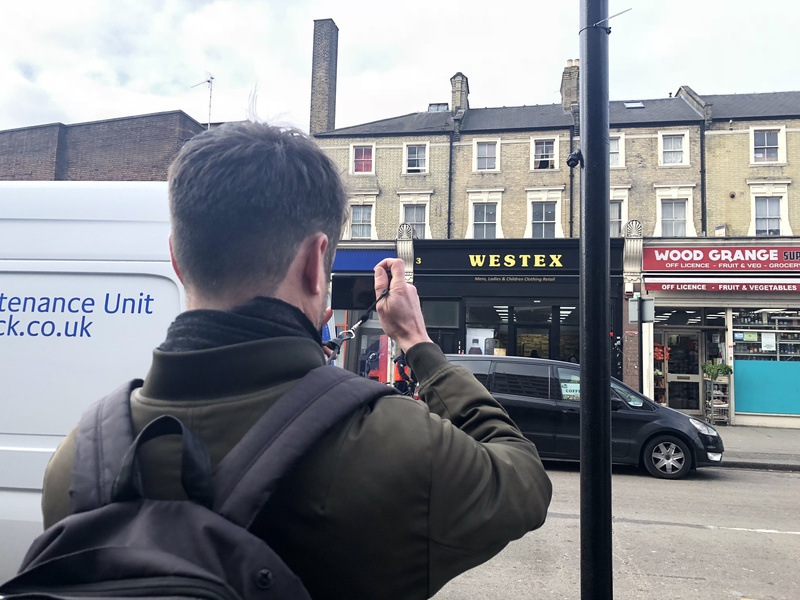 Paul taking a photo of a unit that had changed its frontage (Source: LDC). LDC’s field research network runs like a well-oiled machine and for this reason, many of LDC’s clients leverage our network to collect additional data points, such as whether there is music playing in a store, what POS technology is being used, what food delivery service is used by a take-away shop, plus many, many more. For Paul, part of his bespoke work in Forest Gate included indicating what units had an extra money service either within or in front of the unit. Another interesting feature that the software provides is a map that displays the layout of a street. This map can be edited by using your finger to draw new units, merge units together or delete units based on the real-life changes of the area. Map feature in LDC's location software (Source: LDC). What is being a field researcher like? Field Researcher Paul checking his tablet (Source: LDC). Our field researchers are placed far and wide across GB and they see many different parts of the country. Since Paul has been a part of the team for almost a decade he has seen Britain change from year to year. I asked him about some of the changes he has noticed. “There’s a lot of homelessness. That’s probably the biggest thing. In the city, there’s a lot more construction and a lot more offices, and the buildings are a lot taller. I guess you see a lot of trends come and go - retail trends, you see more pop-up shops, more independent shops, street-food markets, things like that,” Paul said. After shadowing Paul, I now understand how much work goes into making sure we have complete, accurate and up-to-date information. Here’s to our field researchers! To learn more about how our field researchers could collect data on the retail and leisure market for your business, or for information about accessing our retail and leisure database please email the team at sales@localdatacompany.com or call 0203 111 4293.